Using the name of an Non Governmental Organisation (NGO) that caters for those suffering from cancer like CHOC to legitimise the existence of a “fringe group” in volleyball who have suddenly come alive for the first time as “good samaritans” supposedly supporting a worthy cause smacks of dishonesty. For the recently converted “good samaritans” donating the R30 000 prize money to the Childhood Cancer Foundation South Africa (CHOC) would make far more sense and raise awareness of children suffering with the dreaded disease through the very social media platform they use to denigrate legitimate leaders who are entrusted to administer the sport in the country. 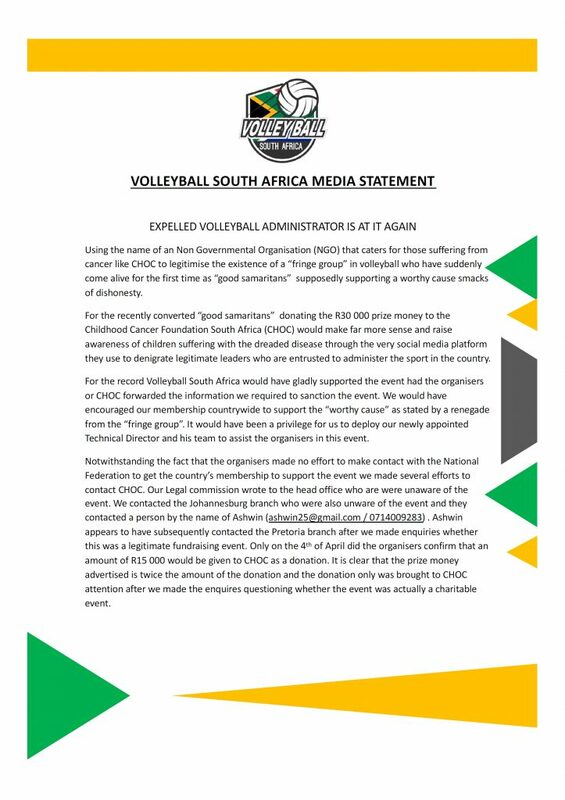 For the record Volleyball South Africa would have gladly supported the event had the organisers or CHOC forwarded the information we required to sanction the event. We would have encouraged our membership countrywide to support the “worthy cause” as stated by a renegade from the “fringe group”. It would have been a privilege for us to deploy our newly appointed Technical Director and his team to assist the organisers in this event. Notwithstanding the fact that the organisers made no effort to make contact with the National Federation to get the country’s membership to support the event we made several efforts to contact CHOC. Our Legal commission wrote to the head office who are were unaware of the event. We contacted the Johannesburg branch who were also unware of the event and they contacted a person by the name of Ashwin ([email protected] / 0714009283) . Ashwin appears to have subsequently contacted the Pretoria branch after we made enquiries whether this was a legitimate fundraising event. Only on the 4th of April did the organisers confirm that an amount of R15 000 would be given to CHOC as a donation. It is clear that the prize money advertised is twice the amount of the donation and the donation only was brought to CHOC attention after we made the enquires questioning whether the event was actually a charitable event. 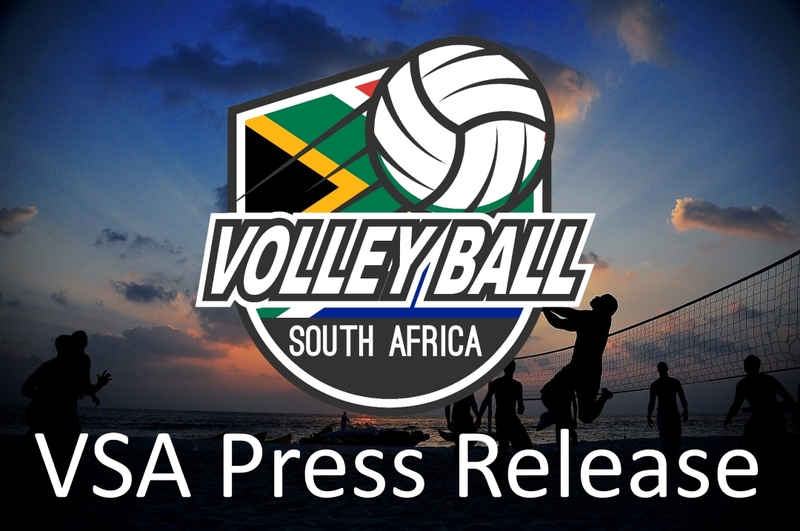 In the interim we have offered CHOC the opportunity of liaising with VSA to raise funds for them during the 2019 version of the National Volleyball League which will be held over four weeks in Gauteng. CHOC has expressed interest to work with VSA in this regard. We doubt very much that any money would have been donated to CHOC if we did not raise the question of this tournament with CHOC. It is indeed sad that these few individuals whose intent is to destabilise Volleyball in the Gauteng province are using a charitable organisation to do so. If their intentions were clearly charitable the prize money would not be twice the amount of the donation. However, when it was brought to our attention that disgraced volleyball officials Size Vardhan who was expelled from VSA and Comfort Munya who is presently suspended and has not availed himself to clear his name at the VSA Investigation conducted in Johannesburg on 15-16 March 2019 were part of the organising team for the Choc event we informed our membership that the Choc event was not a sanctioned tournament by Volleyball South Africa. 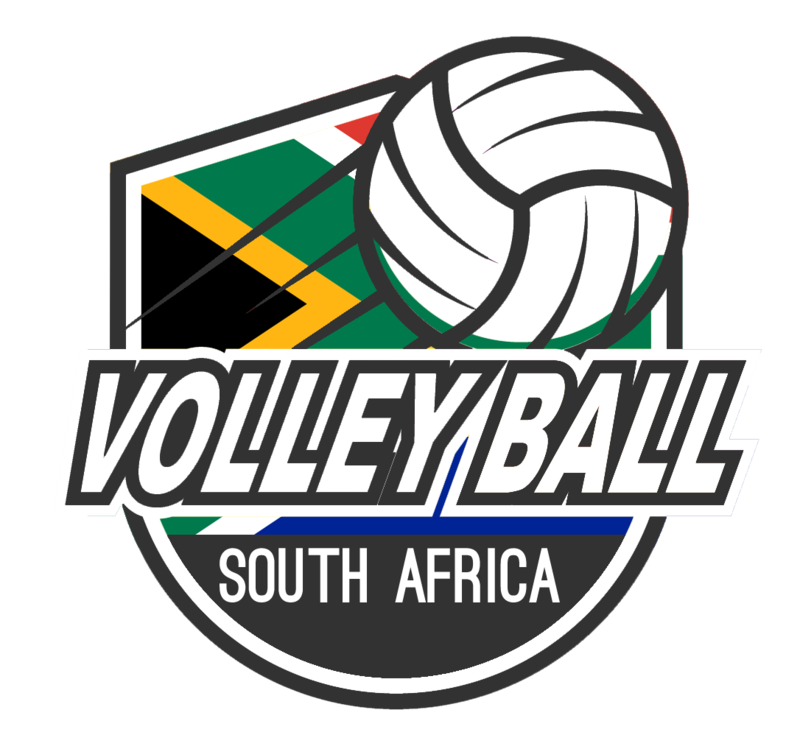 As the custodians of volleyball in South Africa ,VSA cannot allow the so called disgruntled “fringe group” primarily from a “ particular race” group who migrated over the years to Gauteng from Durban, Kwa Zulu Natal, to hijack the sport to serve their own selfish interests which alienates the Black population of this country.